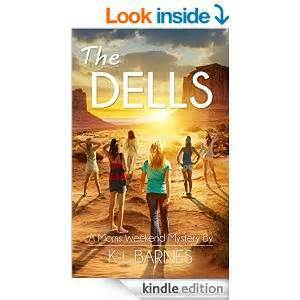 This novel is an enjoyable romp and a fun light read where eight women friends spend a weekend away from home and fall into a whole heap of trouble. The group is blissfully unaware that they’re the victims of a hoax. The writer interweaves and missteps the reader as to the identity of the real wrong-doer. This is a great set-up for a series where hopefully we can get a better hold on the many different characters in subsequent novels. That said, there were several telling lines which captured the essence of a character such as Marvin Levin: “He thought it was one of his best smiles, and he’d worked hard to perfect it.” It is through his eyes that we’ve given a thorough snapshot introduction to all the women. While this is an obvious literary device, I found it justifiable given the large cast of characters, and helped the reader know who was who. The denouement swifter than I prefer but the happy ever after ending made for a satisfying conclusion. Unfortunately, due to an administrative snafu, I received an earlier draft rather than the fully edited manuscript, so my review does not address or reflect these shortcomings. You can catch up with Kristi and her other books at Goodreads and Amazon.